The late Father Henri Nouwen, one of my Christian faith heroes, was a Catholic priest, professor and theologian, writer of many fine spiritual books, and advocate for the poor and disabled. In fact, he lived with the poor and disabled when he wasn’t teaching at Yale and Harvard and Notre Dame, and, for a while, at SMU’s Perkins School of Theology where I attended seminary. “[the question] challenges us to look at our world agonized by wars and rumors of wars and to wonder if we have not fallen into the temptation to think that peace can be separated from justice. But why would there be wars if all the people had enough food, enough work, enough land? “We cling to our false self in the hope that maybe more success, more praise, more satisfaction will give us the experience of being loved, which we crave. That is the fertile ground of bitterness, greed, violence and war. “Constantly I find myself ‘making up my mind’ about somebody else: ‘He cannot be taken seriously. She is really just asking for attention. They are rabble-rousers who only want to cause trouble.’ These judgments are indeed a form of moral killing. I label my fellow human beings, categorize them, and put them at a safe distance from me. . . By my judgments I divide my world into those who are good and those who are evil, and thus I play God. But everyone who plays God ends up acting like the demon. So, brothers and sisters, peacemaking starts every time we move out of the house of fear toward the house of love. You and I will always be scared, somehow, somewhere. But if we keep our eyes fixed on the One who says ‘Do not be afraid, it is I,’ we might slowly be able to let go of that fear and become free enough to live in a world without borders, to see the suffering of others, and to bring good news and receive good news. “Every encounter in life involves the discipline of seeing God in others and making known to others what we have seen. Since our seeing is only partial, we also need other people who will help us to see. Through each encounter, we will come to see more clearly. “Everyone is a different refraction of the same love of God, the same light of the world, coming to us. We need a contemplative discipline for seeing this light. We can’t see God in the world, only God can see God in the world. . .
“If I have discovered God as the center of my being, then the God in me recognizes God in the world. We also then recognize the demons at work in us and the world. The demons are always close, trying to conquer us. 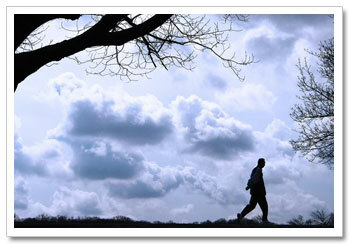 The spiritual life requires a constant and vigilant deepening and enlivening of the presence of God in our hearts. 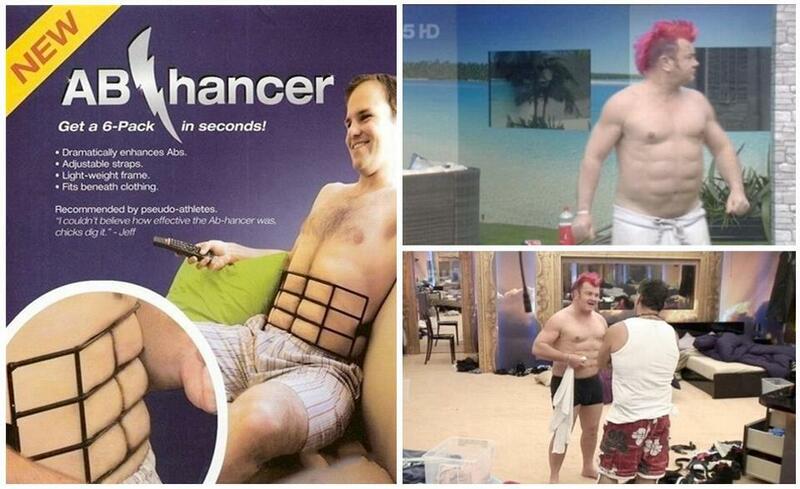 Yes guys, if you want to get in shape like James Brown you got to GIT UP! like James Brown and get those Jitterbug legs to jitterin’!!! 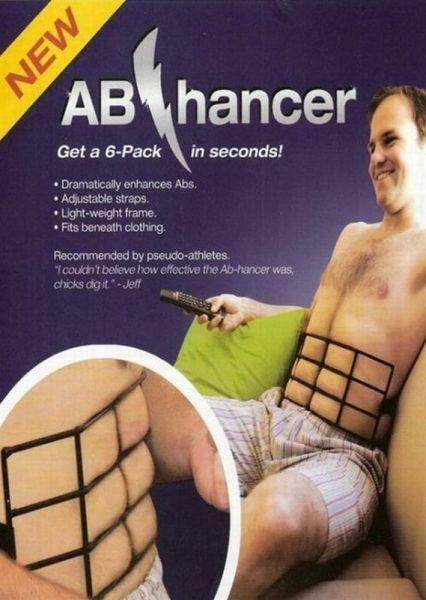 Or, if you want to just work on your abs, get the amazing Ab Hancer . . .
Me, I was born with jitterbug feet like James Brown. 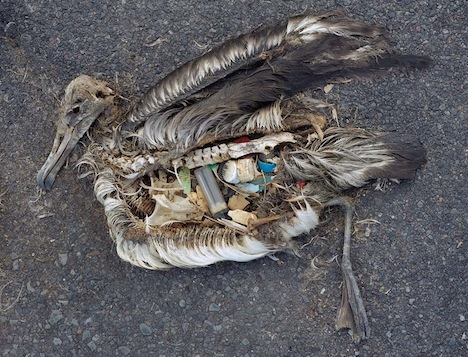 This is how I roll right here, admittedly, to the neglect of my abs . . . .
Chris Jordan’s arresting photo of an Albatross, and pix of other carcasses that died from consuming plastics, speaks volumes about the need for greater awareness of our use of plastics and the devastating effects they are having on animals and seas and the general environment. 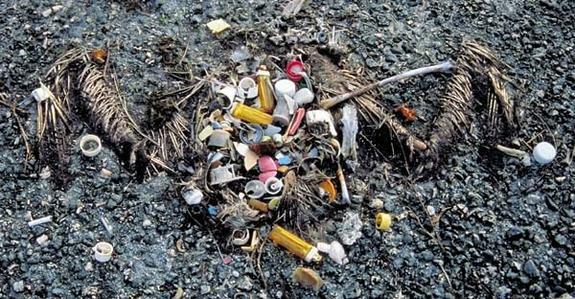 It behooves us all to be mindful of the plastics we use but could do without by using planet-friendly resources–canvass bags for shopping and such. More about this fascinating artist here. Of cruelty or the grace. Singer, songwriter, old road dawg who tours the world doing concerts constantly, literary poet, former Zen Buddhist monk (who lived 5 years in a Buddhist monastery and came out only because he learned his money manager had stolen the money) and true Canadian original. That’s the inimitable Leonard Cohen, who is probably best known in addition to all the above, as a hopeless romantic. But a serious man, often compared to Dylan in terms of originality. 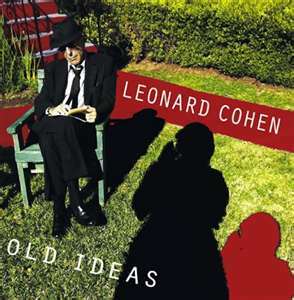 His new album “Old Ideas”–which came out in January and was his first album in eight years–is up to his usual high standards with songs like the opener in the video above, “Come Healing.” It’s Cohen at at his spiritual best, struggling with, and reflecting on his mortality. But for lo these many years he’s been doing sensuous love songs and waltzes, and biblical spirituals, and bluesy and jazzy saloon songs, and songs that leave us fans weeping in the streets with all that joy and melancholy, wit and romance, with his trademark eloquence. Here’s some more, including his masterpiece, “Hallelujah,” based on the story of King David’s adultery and agony and repentant praise. A dear friend of mine who was, and remains, my mentor in pastoral care ministry, sent this out in an email to me and fellow chaplains in the Baylor Health Care System’s Pastoral Care Department today. PARKER PALMER'S BOOK DRAWS HEAVILY ON LINCOLN'S SPEECHES AND THINKING ON DEMOCRACY--AND ON PALMER'S OWN QUAKER-RELATED THEOLOGY OF NONVIOLENCE--IN THE LATEST OF HIS MANY INFLUENTIAL BOOKS. What I learned early on from some great teachers is that violence is not just a matter of dropping a bomb on someone or shooting a bullet at them or hitting them in the face. Violence is done whenever we violate the identity and integrity of the other. Violence is done when we demean, marginalize, dismiss, rendering other people irrelevant to our lives or even less than human. 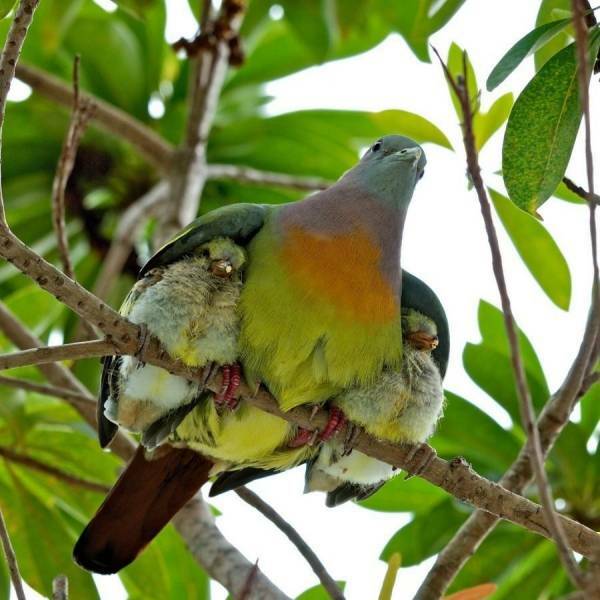 Violence is done when we simply don’t care or don’t look hard enough to evoke our caring for another. 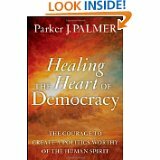 Parker Palmer–writer, teacher, retreat leader, pacifist/Quaker and serious thinker–is one of the smartest and most civilized Americans you never heard of. That’s not to say that he’s not been heard, and his books read, by a lot of people who’ve been enriched by his enormous wisdom. Certainly a lot of educators, theologians, clergy, students and all kinds of professionals (including chaplains in training, who typically get a big dose of his thinking at major teaching hospitals), are familiar with the books and thought of this deeply spiritual and discerning philosopher/teacher. I’ve been reading his latest book HEALING THE HEART OF DEMOCRACY: The Courage to Create a Politics Worthy of the Human Spirit, and can’t put it down. Many will dismiss it as idealistic, because it takes such a realistic account of where we are as a democracy and nation divided by “scorched-earth politics” while calling for more civilized debate–and some real listening to one another rather than reacting– on divisive issues like abortion. the integrity of our democracy. create a politics worthy of the human spirit. click here for more on Palmer, a 12-minute video of him discussing the book, and his famous “Center for Courage and Renewal” retreat center. Now that I’ve been renewed and restored by Holy Week and Resurrection Sunday. 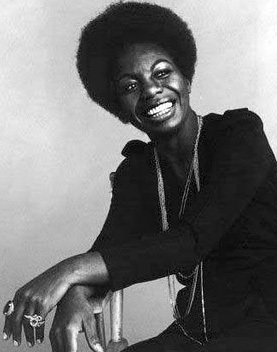 I’m feeling pretty good and hope you are too, you of the Jitterbug Cult..
And if not, some feel-good, new-life Nina Simone music might make your Eastertide* Monday more mellow . . .
* For more on Eastertide, click here . . .
And have a blessed week . . .